Tricia McGuinness is a trail blazer in the development of occupational therapy private practice and in putting vocational assessment on the map. 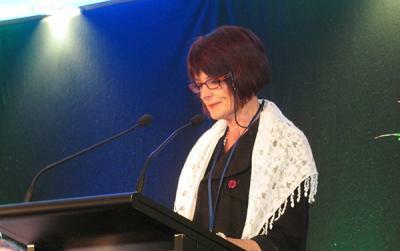 She is this year’s winner of the OTNZ-WNA- Nga Whakaora Ngangahau Hazel Skilton Award. This award is presented to occupational therapy practitioners who demonstrate the values shown by Hazel Skilton our foundation member. These values are: commitment to occupational therapy; service to others; mentoring; and inspirational leadership. Tricia trained in occupational therapy in Auckland (1967-1970) under the guidance of another of occupational therapies founders: Frances Rutherford. This was at a time when muscular skeletal and neuroscience education were a core part of the curriculum. “They had an amazing curriculum at the time – one that prepared you for vocational rehabilitation.” Tricia graduated as the top academic student in 1970. Her Christchurch- based student placements were strongly influenced by role models such as Alison Harding, and Joan Davidson -a lifelong mentor to Tricia. Tricia say’s her career path has been influenced by the people who have mentored, guided and enabled her over the years. “You don’t get awards such as this without having people like these shaping your occupational therapy practice and path” commented Tricia. 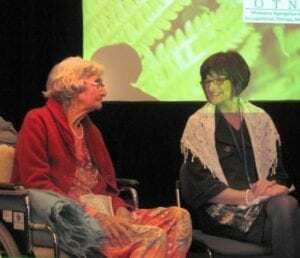 Amongst those influences was Hazel Skilton, herself, who was the charge occupational therapist at Burwood Hospital during Tricia’s student placement in 1968. Other key people Tricia acknowledges as being significant influences in her career are: Margaret Aiken (cardiac rehabilitation), Angela Bellet and Katherine Fink (private practise), Lillian Margetts (professional ethics), Betty Hart (vocational rehabilitation) and Lenny O’Connell (enabling management).